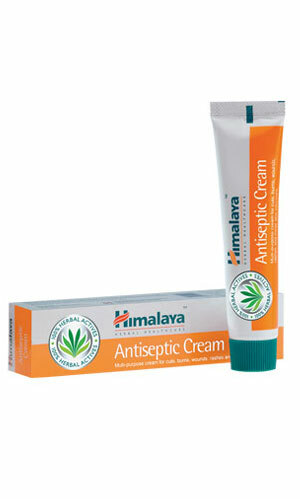 Himalaya Herbals Antiseptic Cream provides effective relief from cuts, burns, wounds, rashes and minor skin infections. A multipurpose cream enriched with Aloe Vera, Indian Madder and Five-leaved Chaste Tree, the cream has excellent anti-infective and healing properties. Apply Himalaya Herbals Antiseptic Cream to the affected area 2–3 times daily.